If your bay window is larger than your current window space, use a reciprocating saw to cut through the nails that secure the sheathing to the framing. Next, use a sledgehammer to knock away any king studs and trimmers from the existing header. After that, use your measuring tape to determine your rough window opening and add the width of any trimmers you’ll be installing to your measurement. Install your new king studs, trimmers, and header (if necessary). 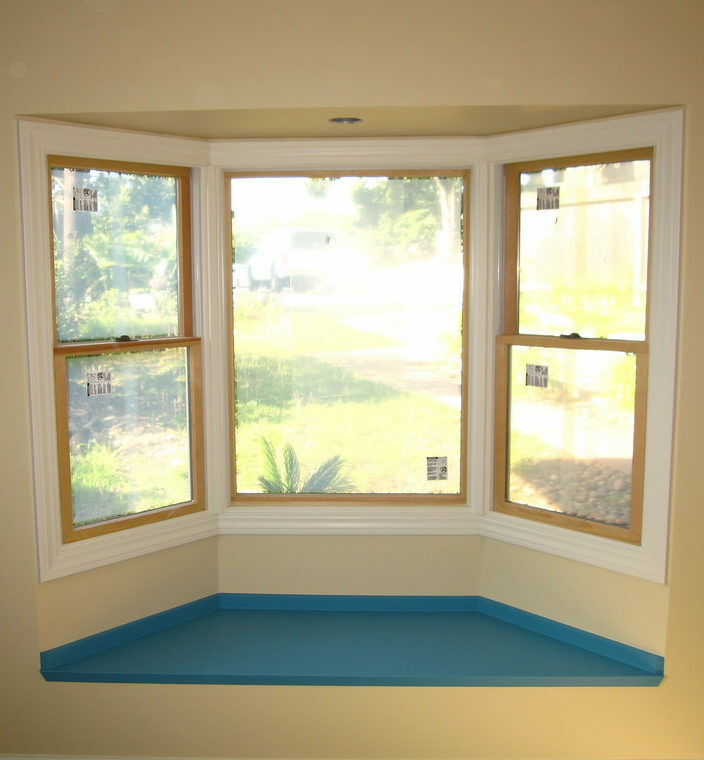 Take a look at the instructions that should have come with your bay window. Next, make sure the opening for your window is properly flashed. After that, determine whether your bay window has flanges. If so, set the window in the opening temporarily, shim it square, mark the siding so that it can accommodate the casing, and then cut the siding. If not, continue to step #10. Refer to the window instructions to determine where to mark the fastener locations. Next, use a drill to drill the holes necessary for the fasteners. Fit your window into the opening and use your excess wood to support it. Use your level to make sure the window is level and plumb. If necessary, use shims to make sure the window sits properly. Drive a few screws into the top and sides of the window to hold it in place. Next, test out the windows that open to make sure they operate smoothly. Measure the width and length of the top of your bay window to determine the size of the “roof” you’ll need to make. Using your measurements, cut two pieces of plywood to create the bottom and the back of your roof. Cut your 2×4 pieces of wood to the correct angle and length and install them as supports between the two pieces of plywood. Sure your roof to the side of your home and the top of your window. After that, finish with shingles, siding, wood, or another material to complete the look of the roof. This completes how to install a bay window.